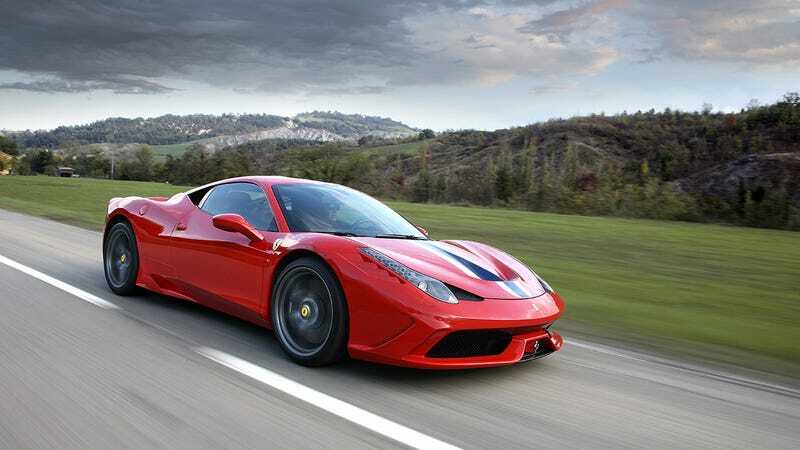 90% of guys think they can handle a car like this, but the Ferrari 458 Speciale is aimed at the 10% who actually can. The dedicated circuit warriors who can deal with the 133 hp per liter and throttle response sharp enough to shave with. That is more than any other naturally aspirated engine on sale. Forget the Italia. Forget the 430 Scuderia. The Speciale is lighter, faster, and more extreme. It's so good, it's in danger of rendering the standard car obsolete. It's savage, and also very clever. Your fantasy bank account just got $300,000 lighter. Now go drool over tons of photos of this Italian extremophile.